Microtechnology has allowed sport scientists to understand the locomotor demands of various sports. While wearable global positioning technology has been used to quantify the locomotor demands of sporting activities, microsensors (i.e. accelerometers, gyroscopes and magnetometers) embedded within the units also have the capability to detect sport-specific movements. The objective of this study was to determine the extent to which microsensors (also referred to as inertial measurement units and microelectromechanical sensors) have been utilised in quantifying sport-specific movements. A systematic review of the use of microsensors and associated terms to evaluate sport-specific movements was conducted; permutations of the terms used included alternate names of the various technologies used, their applications and different applied environments. Studies for this review were published between 2008 and 2014 and were identified through a systematic search of six electronic databases: Academic Search Complete, CINAHL, PsycINFO, PubMed, SPORTDiscus, and Web of Science. Articles were required to have used athlete-mounted sensors to detect sport-specific movements (e.g. rugby union tackle) rather than sensors mounted to equipment and monitoring generic movement patterns. A total of 2395 studies were initially retrieved from the six databases and 737 results were removed as they were duplicates, review articles or conference abstracts. After screening titles and abstracts of the remaining papers, the full text of 47 papers was reviewed, resulting in the inclusion of 28 articles that met the set criteria around the application of microsensors for detecting sport-specific movements. Eight articles addressed the use of microsensors within individual sports, team sports provided seven results, water sports provided eight articles, and five articles addressed the use of microsensors in snow sports. All articles provided evidence of the ability of microsensors to detect sport-specific movements. Results demonstrated varying purposes for the use of microsensors, encompassing the detection of movement and movement frequency, the identification of movement errors and the assessment of forces during collisions. 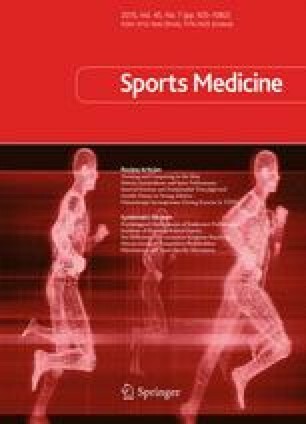 This systematic review has highlighted the use of microsensors to detect sport-specific movements across a wide range of individual and team sports. The ability of microsensors to capture sport-specific movements emphasises the capability of this technology to provide further detail on athlete demands and performance. However, there was mixed evidence on the ability of microsensors to quantify some movements (e.g. tackling within rugby union, rugby league and Australian rules football). Given these contrasting results, further research is required to validate the ability of wearable microsensors containing accelerometers, gyroscopes and magnetometers to detect tackles in collision sports, as well as other contact events such as the ruck, maul and scrum in rugby union. No funding was received for the conduct of this study and preparation of the manuscript. The authors have no conflicts of interest that are relevant to the content of this review.